Moving is hard work. 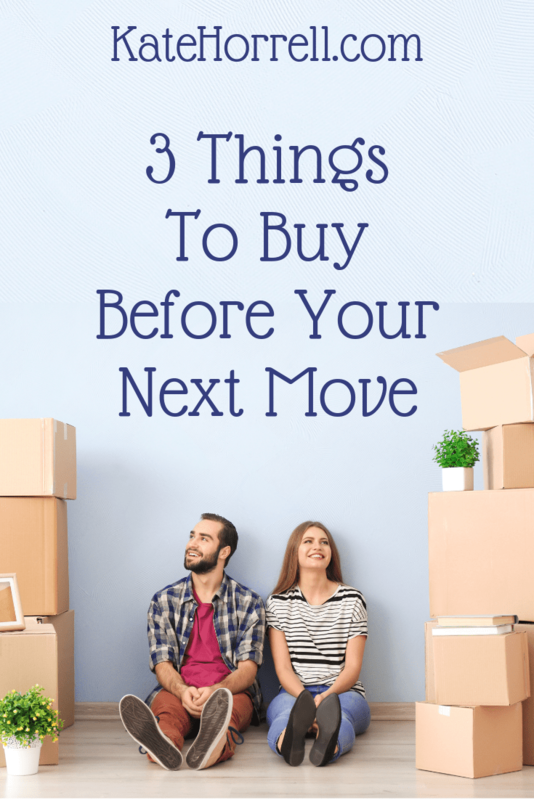 Whether you’re moving yourself or having someone else move you, there are a couple of tricks to make the move easier. Well, actually, there are many tricks (you can see pages and pages of them in Printables to Make Your PCS Move Smooth and Organized), but there are a couple of key takeaways that require you to plan ahead by buying some supplies. Your move will be less stressful if you have these items on hand. They don’t have to be Ziploc brand, but you don’t want thin, breakable ones, either. I use zip-top bags a bjillion ways when we move. First, I open all the dresser drawers and put clothes in large zipper bags or storage bags, then put them right back in the drawers. If your packers unpack your dressers, they aren’t actually touching your clothes. (Especially that stuff you don’t want them touching!) Anything liquid gets double bagged. Toys and games go in bags, inside their boxes if we’re still using them. Office supplies – sorted into bags by type. Kitchen utensils get bagged so that I’m not unwrapping one bamboo skewer wrapped in 8 sheets of paper – and possibly throwing things out by accident. Linens go in saved zipper bags from buying bedding, or into storage bags. Once you’ve bought them, you can throw them into a box (or into a bag, LOL) and re-use them move after move. One last “bag” that makes me a lot more comfortable is waterproof covers for our mattresses. Generally, mattresses are moved either in cardboard boxes, or wrapped with paper. Either way, I don’t think it is enough. First, the movers have their hands all over your mattress while they’re packing it. Second, neither option is waterproof. There are a variety of choices out there, I happen to like these. As your packers are closing up boxes (or after they’ve gone home at night), add these labels to make unloading a LOT easier. When you get to your new house, hang one of the labels on the appropriate room so that the unpackers have a visual reference and don’t have to ask quite so many questions. Some sort of moving binder is essential. We use ours as our essential documents folder, then add items to make it a PCS binder when we move. I found mine on clearance at Office Depot, but if you’re short on time, it’s probably easier to buy one. I like this style because it has a lot of little places inside to store pens, business cards, stamps, coupons, frequent flyer cards, and all the other miscellany that doesn’t fit in the regular part of the binder. I’ve tied a colorful ribbon around the handle, and everyone in the family knows exactly where to find the title to the car, or their immunization records, or the inventory for our household goods. Plus, if we ever have to evacuate, it’s super-simple to grab the handle and go. A stamp printed with your cell phone and email address, to stamp on the outside of boxes. They unfortunately do get lost sometimes! If you’re driving, a car emergency kit and jump starter. No one wants to be stuck in the middle of nowhere without the right gear. Box cutter – you can’t assume the movers will loan you one, and it’s so much easier to open boxes with the right tools. Clipboard(s) – for your inventory sheets, and anything else you need to keep organized. Zip ties, twine and super-glue: you just never know. Sharpies for relabeling boxes with the right contents. A bottle opener for wine and beer. I’m sure I’ve missed a few things. What do you like to have handy when you’re moving? If you found this helpful, you’ll love Printables to Make Your PCS Move Smooth and Organized! When buying cases of ziplocks, spend a little more to get some “space bags” for really bulky items. Comforters, pillows, even stuffed animals take up a lot space when you vacuum all the air out of the bag. A bonus to this is that you also remove a lot of dust when vacuuming out the air– freshening up stuffed animals and pillows for your new home!